When something cherished from our ’90s childhood gets rebooted and redone, there’s always the fear that it won’t live up to the original. 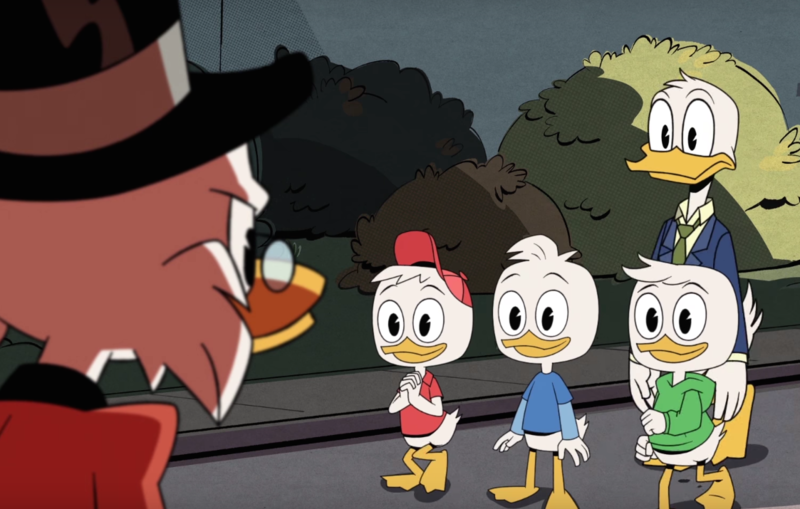 But hey friends, go ahead and shout this from the rooftops, because Disney XD’s new DuckTales trailer actually looks amazing. Get your childhood on the phone, and tell them not to worry. The new animated series will premier this summer, and Disney has finally dropped the first trailer for the show. Huewy, Dewey, and Louie (the evil triplet) are sent to stay with their Uncle Scrooge McDuck for the weekend (and possibly forever) and aren’t too keen on this idea. You know, because Scrooge McDuck “used to be a big deal” and now he’s not anymore. He’s just like, and old, crabby duck. However, that is far from the truth. Instead, we find Scrooge McDuck driving a submarine, fighting off flaming ghost pirates, and riding a dragon. All in a day’s work for someone who runs a multi-trillion dollar company, and also happens to exclusively wear top hats. Now, keep in mind, this isn’t the DuckTales you remember fom 1992. While the original certainly had lots of action and adventure (do we need to talk about The Duck Tales Movie: Treasure of the Lots Lamp?) this new one has adventure and LAUGHS. Wow, is it going to be weird when Disney XD looks at the numbers for DuckTales, and realizes that the show’s main audience is millennials, ages 25-34? Admit it, you will binge the hell out of this new show. If you need more reason to watch, the cast for this show is , and it’s fun imagining this group hanging out together IRL. Huey, Duey, and Louie are played by Danny Pudi, Ben Schwartz, and Bobby Moynihan, and David Tennant is taking on Scrooge. There’s also Beck Bennett as Launchpad McQuack, and Kate Micucci as Webby Vanderquack. Start getting psyched to return to Duckburg. WOOHOOOOOOO.